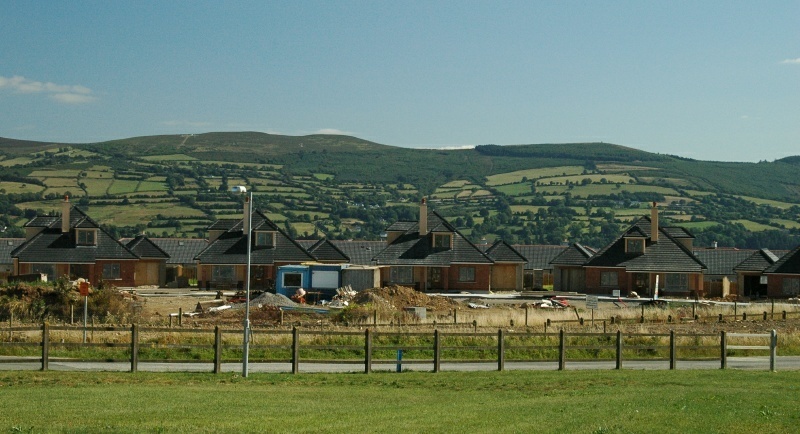 New houses on the way back from Waterford. In the summer of 2006, Ireland was undergoing a housing boom (evidently). Our hosts, Lord and Lady Rosse, were not too enthusiastic about the architecture of the explosion, but these, a bit south of Cashel in County Tipperary, didn't seem too glaring. On the other hand, they could have been from Moraga, California, to choose one of a huge number of possibilities -- globally homogeneous, pretty much.